Chia seeds are one of the most powerful foods known on earth. These tiny seeds are highly nutritious and can have enormous healing effects on our body when eaten regularly. Today's food generally contains less and fewer nutrients caused by depleted soils, acid rain, nitrogen fertilization and long transport routes. Adding chia seeds to your daily diet can help to compensate this lack. The health benefits of the chia seeds are many because their nutritional composition is far superior compared to any other food. In this article you will get to know about the health benefits of eating chia seeds: the exceptional nutritional content of the chia seeds, what healing effects they have on our body, and what to consider before and while eating them. Salvia Hispanica is the official name of the chia plant. The chia plant is a species of flowering plant in the mint family, Lamiaceae, native to Mexico and Guatemala. Chia was already at the time of the High Cultures of Central America the basic food of the Mayas, Inkas, and Nahuatl. Particularly the Azteks, belonging to the Nahuatl, cultivated this powerful seed. which has the meaning of ‘strength’ or ‘power’. Chia was a symbol of life and was considered to be a gift of the gods. It was eaten every day, its leaves were used to prevent wound infections, women used chia to enhance their beauty, and artists mixed the colors with chia oil to make their paintings longer lasting. As the Spanish Conquerors landed on the American continent, the indigenous people were killed and those who survived were brutally forced to give up on their traditions. The chia seeds were often used in rituals and were served as an offering to their gods. The Spanish conquerors didn’t accept that and forbid further cultivation of the chia seeds. The powerful chia seeds were almost forgotten, but luckily the plant went on thriving in Mexico and also in Spain – therefore the name Salvia Hispanica. In the 1960’s chia came to a revival because of an emerging health boom. But it wasn’t until the End of the Millennium, it started to be acknowledged as a superfood. In 1997, a Tarahumara-Indio C. Chacharito took part in a 100 miles run, at a height of 3000 meters above sea level, in California. At the age of 52, he won the race with a lead of half an hour, and he needed less than 20 hours for that distance. Afterward, he was asked about the secret behind this incredible achievement. He answered, «I simply eat chia». The journalist Christopher McDougall heard about this story and got curious. He went to the Tarahumara Indios and learned about their successful running technique and the secret behind the great endurance: roasted chia seeds groaned to a flour mixed with water. This gel the runners eat before, during and after the competitions. McDougall wrote a book about his Tarahumara adventure and his discoveries, «Born to Run» which became a bestseller. Chia is a natural food and can be eaten accurately as it occurs in nature. It is whether a denatured nutrition concentrate nor a food supplement. Chia contains an enormous amount nutrients of high value compared to other nutrients. Within the indigenous traditional folk medicine, it is said that only one teaspoonful chia seeds contain sufficient nutrients for one person for 24 hours. Omega 3-fatty acids are of vital importance for metabolism. Fatty acids serve as energy for the muscles, heart, and other organs. As Omega 3-fatty acids can’t be produced by the human body itself, they have to be acquired by food. Chia seeds are one of the most valuable sources of healthy fats. They have an extremely high content of omega-3 fatty acids, only flax seeds contain slightly more. The advantage of chia compared to flax seed is that they contain far fewer calories and they have very long storage time as they don’t turn rancid. Flax seeds and flax seed oil can get rancid within a few weeks, while chia seeds can be stored for several years without losing their nutrient value or taste. The human body needs proteins for the building and renewal of cells. Proteins are essential for all organ functions of the body, particularly for the healing of diseases and wounds. Proteins are build up out of amino acids. Lack of one amino acid impairs the function of the proteins. An amino acid deficiency can in the long term have severe consequences for our health, like for example heart diseases, diabetes, chronical inflammations, and depressions. Chia contains all essential amino acids which are needed to build up the proteins. There is hardly any other nutrient known containing as many amino acids as chia seeds. The chia proteins have even got a higher value than an egg. Chia contains a remarkable amount of the vitamins A, B, and E., In particular, the value of vitamin B3, also called niacin, is unusually high. Chia seeds contain far more vitamin B3 than foods of animal origin. That’s another reason why chia should not be omitted in a vegans or vegetarians diet. Vitamin B3 supports fat reduction, detoxification, and regeneration among other things. A daily intake of 15 mg vitamin B3 is required. One portion (15 mg) chia provides you with 1,3 g Vitamin B3. When eating chia seeds be aware of drinking enough water. For each portion chia, preferably drink at least 200 ml water. The power seeds chia also contain a significant amount of minerals and trace elements. - five times more calcium than milk. - twice as much iron than spinach. - twice as much potassium than bananas. - eight times more magnesium than bananas. - chromium, copper, phosphor, selenium, manganese, molybdenum and zinc. Fibers are vital for the human body. They are filling, provide a good digestion, and slow down the rise of the blood sugar level and reduces the cholesterol levels. They also reduce constipation and cleanse the bowels. Chia has a high fiber content. The chia fibers are particularly good at binding and draining acids. Chia seeds have a very high amount of antioxidants, even higher than blueberries and broccoli. For one thing, antioxidants protect the fats from oxidation, which means the chia seeds do not turn rancid, then again they protect our body from the free radicals damaging the cells. In other words, eating chia can prevent diseases and slow down the aging process. The approximate ORAC-score of raw black Chia is 9100, for blueberries 4700, for raw broccoli 3100. The higher the ORAC, the more free radicals are neutralized in the body. What Are the Healing Effects of Chia? Chia seeds do not count as a medicine according to the conventional medicine. The holistic nutrition medicine though, considers chia to be a natural remedy. Today we know how important a healthy nutrition is for our health and well-being. By eating the right nutritious food our body can heal itself and we can stay vital and feel well up to very high ages. Following overview shows you the benefits you get by adding chia to your daily diet. The high content of omega-3 fatty acid in the chia seeds helps to lower increased blood pressure (hypertension) and help to stabilize heart rhythm disorders. A study published in «Diabetes Care», Nov. 2007, by Vladimir Vuksan, Professor of Medicine, at the University of Toronto, confirms this as the participants who were given chia seeds had a considerable decrease of their blood pressure, diluted the blood, and reduces the risk of infection. Inflammatory processes are involved in many diseases like for example heart attack, stroke, rheumatism, cancer, diabetes, allergies and more. Inflammation even accelerates the aging process. Inflammations can get chronic when nothing is done about it. The tricky thing is that inflammations can develop in the body for years without us knowing it. A diet rich in Omega-3 fatty acids lessens susceptibility to inflammations and helps to heal the body. Therefore chia, with its high omega-3 fatty acid content, is highly recommended to add to your daily diet. The nutrition has got a huge impact on our health situation. Also, cancer development depends very much on what we eat or not. Dr. Lars Dragsted, an epidemiologist at National Food Agency in Soebora, Denmark, estimates that 40 to 60 % of all cancer diseases are nutrition related. According to studies, refined oils and trans fats, which we find in many kinds of industrially processed food, are very much likely to be one of the great causes of the development of cancer. Unsaturated fatty acids have shown good results in helping the cells better absorb oxygen. It is a fact that lack of oxygen in the cells is one of the causes which make cancer develop. It is important to mention that chia is not a universal remedy for cancer but the high amount of omega 3 fatty acids and antioxidants can help to prevent the development of cancer and support the body to heal itself. The fibers and the omega-3 fatty acids of the chia seed help to regulate the blood sugar level. A study published in ”Journal of Nutrition” in 2008, showed that rats which were fed with a diet containing 60% sugar, got both an improvement of insulin resistance and of lipometabolic disorder when chia seeds were added to their diet. Can prevent age-related macular degeneration and Sicca syndrome (dry eyes and mouth). Prevents dementia like for example Alzheimers’ disease. Prevents and reduces joint pains. Helps you to get a better sleep quality. There isn't actually a recommended amount of chia you should eat. In studies, they use a dose of 25 grams, slightly less than an ounce, which is a reasonable daily portion of chia. In Europe, the recommended daily intake of chia amounts to 15 grams, approx. ½ an ounce. However, in Central America, the cradle of chia, these seeds are being consumed for centuries and they consume significantly greater amounts than an ounce per day. Chia can be eaten raw and dry, they can be groaned to a flour and be used for bread, puddings and chia gel, and they can be soaked in, for example, water or yogurt. Because of their high-fat content, chia seeds won’t get rancid. Dry chia seeds can be stored 4-5 years without losing their nutrient value or taste. They should be stored in a dry, dark and cool cupboard . For long-term storage, you can store them in the fridge in an airtight container. In any case it is recommended to keep the chia seeds in an airtight container. Chia meal has got a much shorter shelf life. Please look for the expiring date on the package. Soaked chia (mixed with water) can be stored in the refrigerator up to 3 weeks, in a tightly closed container or a jar of glass. Mixed with other liquids (e.g. milk, or juice), it should be consumed within a couple of hours. If you ground the chia seeds yourself, you should consume these immediately, because like this they get rancid within a short time. Our digestive system can’t break the chia seeds and therefore the seeds partially will expel undigested. The whole seeds with their rich fibers are beneficial for your bowels. If you want to benefit from the full nutrient range and particularly the omega-3 fatty acids, then you must ground the seeds and consume the chia flour mixed with water or another liquid. Chia is an excellent nutrition for vegans and vegetarians as these seeds are rich in proteins and calcium. Chia has a huge ability to hold onto water. The chia seeds can increase its volume tenfold or even more when it absorbs water. Therefore it is of great importance to drink enough water while consuming chia, otherwise, it can lead to constipation. Those who suffer from reflux or have problems swallowing should avoid eating dry chia seeds. Consuming chia in combination with an adequate amount of water supports the digestion process. People with a sensitive stomach should increase the chia dosage very gradually, in order to prevent flatulence and bloating. Chia lowers the blood pressure and acts as a natural blood thinner. People who have to take blood-thinning medication must first consult with their physician. Also, people with a very low blood pressure must be careful and better check with their physician if they feel uncertain. As with all foods, also plants and seeds can force an allergic reaction. The chia plant is a belonging to the labiate family, like sage, thyme, rosemary, and mint. So if you are allergic to these or to mustard and mustard seeds, you can possibly also be allergic to chia. What Have We Learned About Chia? All in all, the health benefits of eating chia seeds are significantly outweighing the health-related restrictions when considering the listed recommendations. Chia seeds have got an exceptional nutritious advantage compared to most other foods. The healing effects they have on our body and mind is tremendous. I have been adding chia seeds to my daily diet for about 4 years now and I feel fitter and don’t get those hunger pangs between the meals anymore. I don’t catch colds or get the flu as easy as I did before starting consuming chia, coconut oil, and doing exercises regularly. 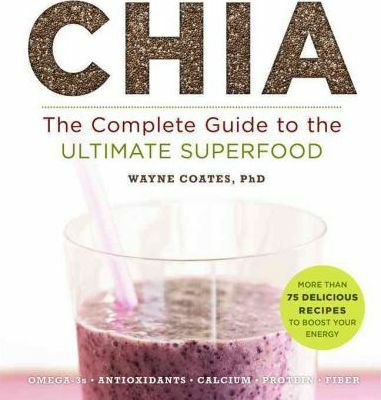 Please, read my Habit Changer tips for getting more practical tips on how to use chia in your daily diet. What about you? Do you eat chia? How do you prefer to eat chia? Do you feel better after adding chia to your diet? Please, leave your opinion in the comment thread! This sounds like a good natural supplement for our body. Having omega-3 fatty acids in the along with being fiber rich works in our body both ways. That is good heart health and digestion along with helping stop free radicals in the body. Thank you so much for leaving your comment. I’m glad to hear that you have discovered the advantages of the chia seeds. It is true, chia is an excellent natural supplement for our body. I highly recommend you to add chia to your daily diet. In a following post, I’m going to tell about how you can use chia to enrich your daily meals with these tiny power packages. Hope you join in on that discussion as well. If you have any questions related to health and wellness topics, I’d be more than happy to help. Hi Pernilla, I’ve been a proponent of the power of chia seeds for a long time. I’ve put them in smoothies and even in scrambled eggs. I also take an Omega 3 supplement and chia is one of the ingredients. There was a vast amount of information I did not know about them though. Thank you for enlightening me on even more benefits of these tiny seeds! Thank you for this highly beneficial article, Pernilla. Thank you very much for telling how you add chia to your diet. I think it’s a great idea to put the chia seeds in scrambled eggs. I definitively want to try this out. Yes, there are many ways of using chia, for example, chia oil can ease itchy skin. Yes, these tiny seeds have got everything our body needs! In a blog soon to come, I want to give practical tips about how chia can be used in our daily life. Hope you will find that blog interesting as well. I am very impressed with your website design and even more with your informative article posts, you do make living a healthy living much easier with your easy steps. I shall be a regular reader from now on, I was wondering will be possible be adding a newsletter and if you do I will be one of your first subscribers. I’m so very delighted to hear that you like my website and my articles. It’s a true inspiration to know that you find the information I provide, as well as my advice helpful. This is my very aim, to help you and other visitors of my website to live a healthier life in the easiest way possible. Yes, in short, I’m going to add the possibility to subscribe to my newsletter. I’ll send you a message as soon as I have added this to my website. It is a great pleasure if I may welcome you as one of my first subscribers. So wonderful to hear from you again, makes me very happy. Thank you so very much for your very kind words – Linda, my friend, you inspire me to keep going with my work. Excellent that you know the wonders of chia and already use them, as the health benefit is enormous. It’s my aim to share my knowledge and help people to a healthier way of life. One step today makes a huge jump in the future. You know, where to find me. Always here for you! Wish you happy & healthy life! I have been exploring both of your articles on chia seeds. I was introduced to them about a year ago as I was looking for a way to be sure my vegan daughter was getting enough protein and nutrition in her diet. A nutritionist recommended them to me for her. Of course, I had to try them for myself too. I am not a huge fan of the texture when they are soaked but I like them raw on yogurt or salad. I will also blend them in a smoothie to share with my daughter. Love the new look of the site as well. I always look forward to your articles! I’m so pleased to receive another comment from you. It’s great to hear that you and your daughter use chia seeds regularly. Yes, not everybody can acquire a taste of soaked chia seeds. I had to get used to the texture of them myself. I do add some coconut blossom sugar, vanilla powder, and berries to the chia gel and then it tastes really good. With time it tastes better and better as you get used to the texture. It’s wonderful that you like my website and I look very much forward to greet you once again. I have lately heard about chia seeds, but never made a step towards having them in my diet! 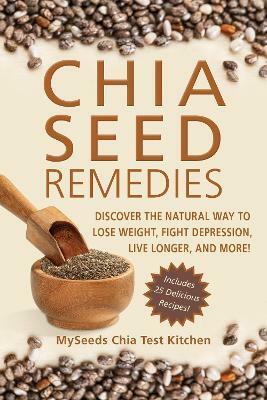 For the first time, I have found so well organized and informative text about chia seeds health benefits! Your message inspired me to take action, and for sure I will start using it! It has so many advantages to afford to miss chia. I was very touched by the running story – I want to improve my physical performance and will get that inspiring book – “Born to Run”. I was also impressed we don’t need that much chia and even around 20 grams a day would be a good start. How glad it makes me that you have learned about the amazing benefits of eating chia seeds while reading my article. Chia seeds are indeed a miraculous powerful food. These seeds can be used in many various ways. Please have a look at my tips about how to use chia in my blog Habit Changer: Chia seeds. There you’ll also find three recipes. Especially the first recipe “Chia Gel” is very easy and can be varied in many different ways by using your own imagination and preferred combinations. If you need more detailed information about how to use chia seeds. Please, contact and I’d be very glad to help. This is a very comprehensive and well written post. As you point out, the chia seed is a rich source of calcium; 100 grams of seed (about two ounces) contains 600 milligrams. The same amount of milk provides 120 milligrams of calcium. Chia seed also contains phosphorus, potassium, zinc, boron, and copper. Here is something that I find interesting: the chia seed has a fiber that forms a gel when it comes in contact with liquid, including stomach juices. This gel is credited with slowing digestion and preventing quick rises in blood sugar levels. I’m very grateful to hear that you like my chia post. Chia is extremely nutritious and I highly recommend everyone to add these tiny power packages to their diet. We could literally survive with only eating chia and drinking water. My wish is that everyone on earth gets the knowledge about this power food and that everyone had access to chia. I believe then no one would suffer from hunger on this planet and people wouldn’t suffer from diseases as much. Looking forward to future comments from you Thabo.